A family vacation always yield learning lessons! And this year was no exception! We all had a great time making lots of memories, but we also learned a few things . . .
1) Oh Orlando . . . I truly am trying to like you . . . But you just keep doing things that make me want to visit your Florida relative about three hours southwest of you. I know you are the city of children’s dreams. But you are not always the parent’s dreams. My family stayed in a house (there were 12 of us) where we felt like big brother was in control. And if you know anything about me, you know I am independent. The week we were in Orlando happened to be very warm and humid. But we did not have control over the temperature in our home – the temperature gods did. We were locked out of adjusting the temperature control. Frustrating. And we also learned from a previous trip to not assume you have a grill. In fact from our experience, rarely will a grill be included in an Orlando house rental. 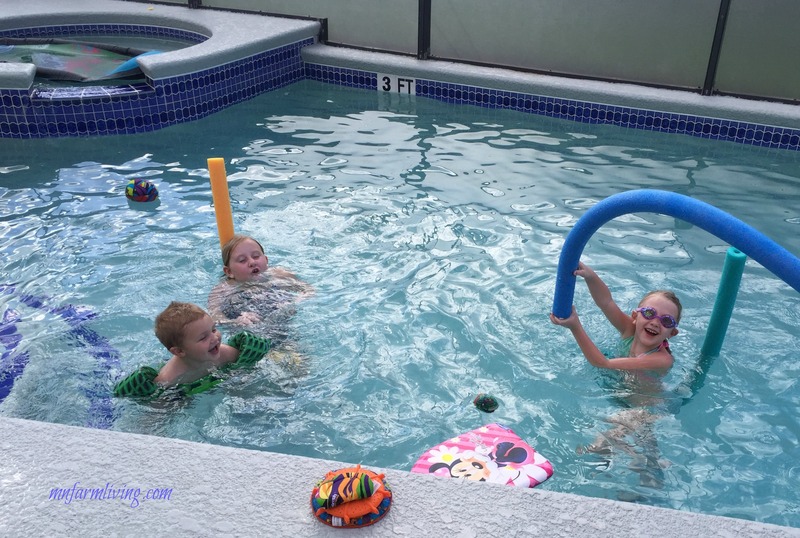 In addition–just because you have a heated pool does not mean the pool will be heated. Both the grill and pool heat are extra costs. Lesson learned. 2) On our to-do list included visiting an orange grove. And we did. 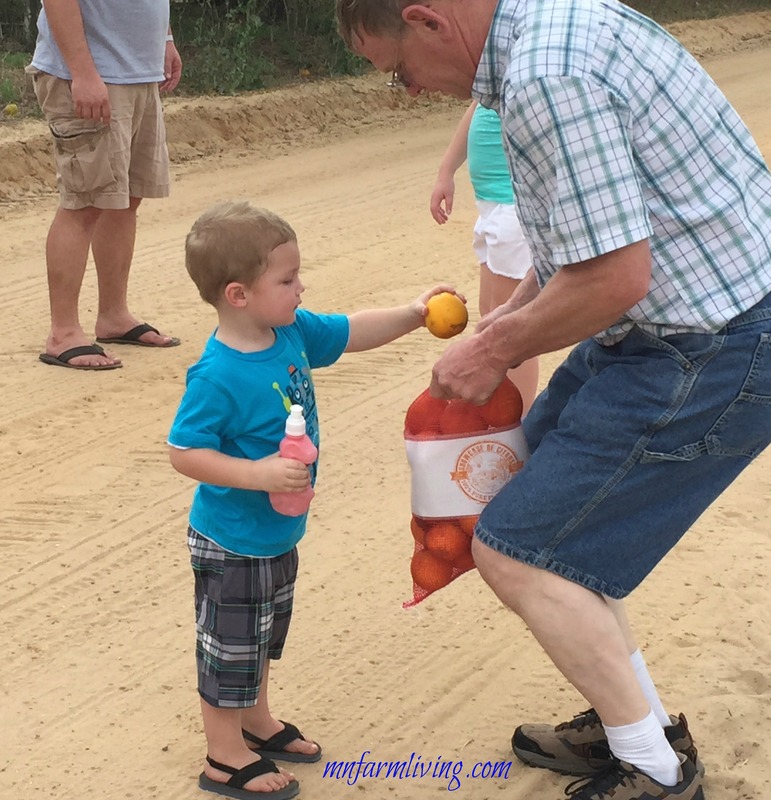 I wanted to make sure my grandchildren knew where oranges came from. And they did. In addition to growing oranges, the orange grove offered “monster truck” rides around the orange grove. Visualize a school bus body on top of tall and large wheels. When we entered the bus (via walking up a tall platform to reach the bus door) we immediately realized the back door of the bus was removed and replaced with a single chain gate. Let me say, there is no way this would ever pass a safety test here in Minnesota. But as grandparents, we just sat next to the back gate to make sure no child would move towards the chain gate because they surely would fall out. On top of that, during the ride, the driver allowed my 3-year-old grandson drive the “monster truck.” I am not kidding! Okay, maybe he just sat in the seat and controlled the steering wheel while the driver controlled the accelerator. But controlling the steering wheel proved to be a challenge because my grandson could not see over the steering wheel! Oh, and the look in my eyes as we drove through four feet of snake and alligator infested waters. Well, maybe I didn’t see any snakes or alligators right there, but they could have been and they probably were lurking close by just waiting for us! 3) Research Cocoa Beach before visiting. We did not do appropriate research. I will admit it. 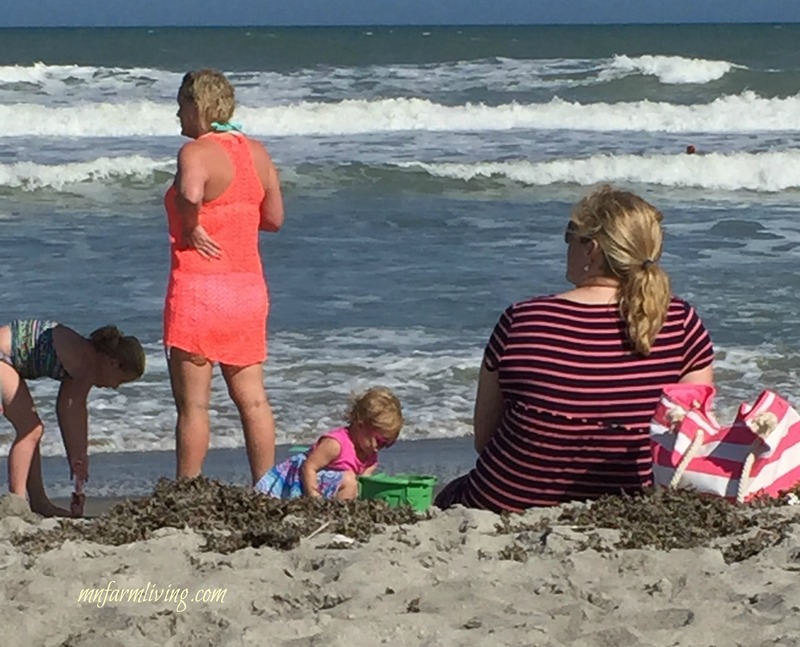 After we arrived in Cocoa Beach and found a place to park, we made our way to the beach. We immediately noticed there were no public restrooms near the beach, because of course, we needed to use them. But what we did find was plenty of scantily clad spring breakers. Oh, yea, that’s right – March – Spring Break. Ugh! With four young children, in the midst of spring breaker land along with a lack of public restrooms, we didn’t get off to a good start. We found out later there was a more “family friendly” section of the beach. That’s why we needed to do a better job researching the beach BEFOREHAND. Let’s just say, there are just some things you just can’t “unsee.” And there were plenty. It probably bothered us more than the grandkids because all they wanted to do was play in the sand. And that they did. . .
4) Way too many toll stops and make sure you have plenty of money change with you. I know Orlando is trying to pay for it’s roads, but it’s annoying. Seems like we were always pulling into a toll road stop. But the lesson here is to make sure you have plenty of money change with you for the unmanned tolls. We nearly panicked at one of our unmanned toll booth stops because we barely had enough change to pay. Almost were down to using pennies. 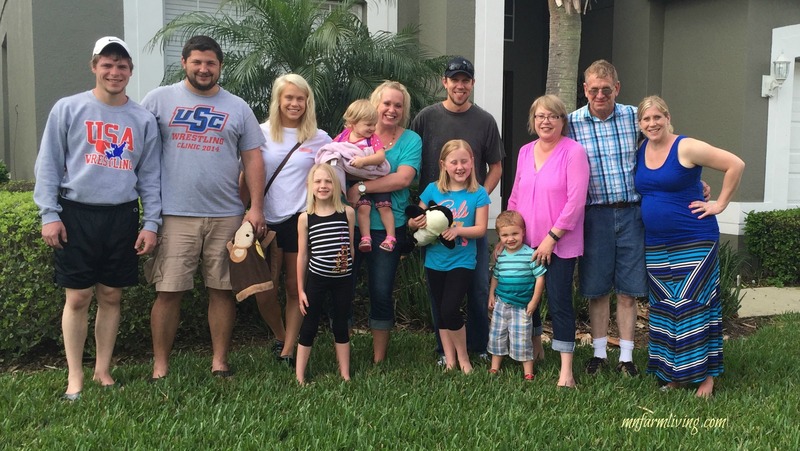 5) Family time is a time for memories. Everyone loved the pool! 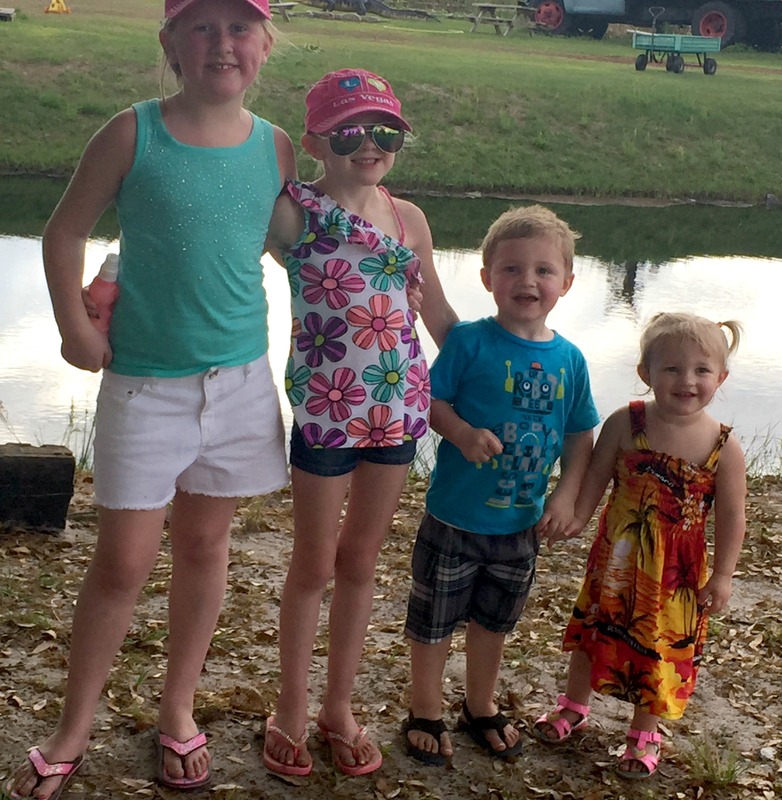 It was great to see the grandkids enjoy themselves and each other. And the best part? We had no meltdowns! That says a lot for a seven, six, three and two year old. This trip was their Christmas gift and I truly believe there is no better gift than a gift of family time and memories. I try to approach every day as a learning experience, whether it is good, bad or otherwise. As a parent I have stepped into some things that made me question what on earth is going on, but somehow we all get through it. As you said, great memories for the grands and that is the most important part of all. Thanks for sharing these great tips would have never crossed our minds. Hope you enjoyed your family vacation!